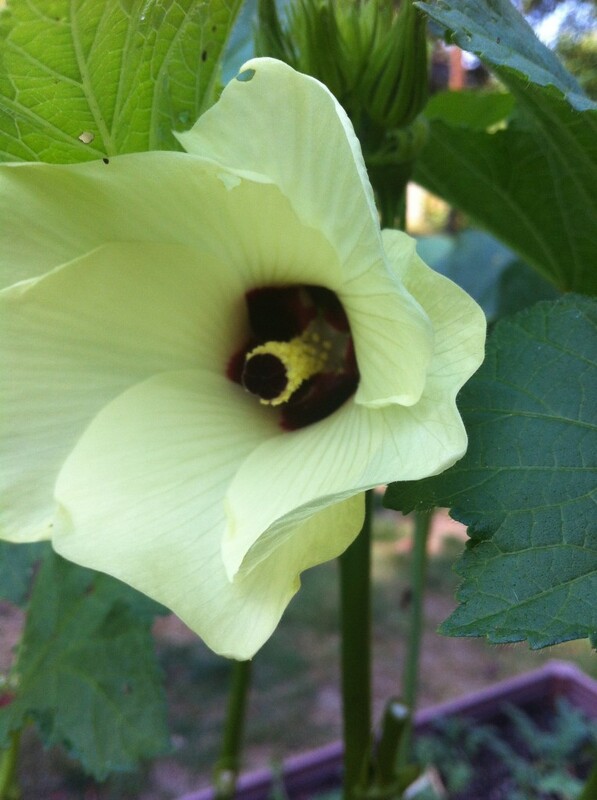 I never tire of seeing these okra flowers in my garden. They are stunning. Okra leaves, on the other hand, are something I could do without. They are sharp and feel like fiberglass on the skin. This has been my most productive plant to date, but the tomatoes are finally starting to turn and I think they may surpass the okra in productivity.